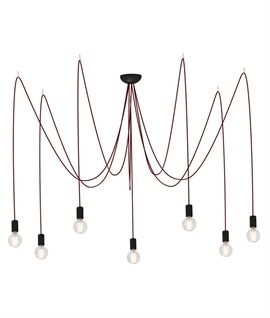 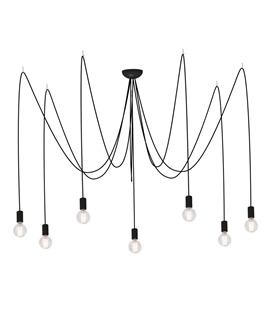 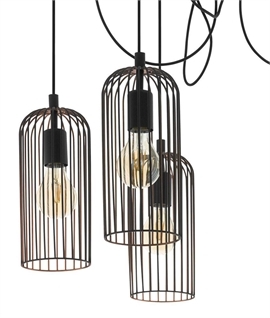 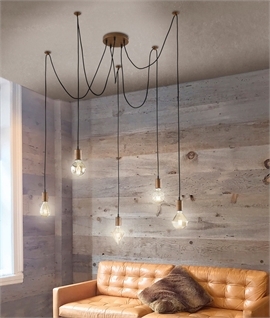 This spider pendant has copper finish components (ceiling rose and lamp holders) with a black braided cloth coated flex. 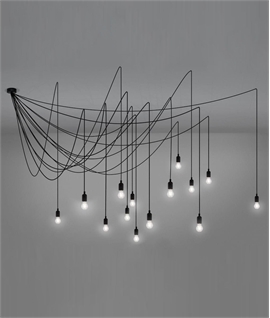 All you need to decide upon is which six eye-catching lamps to use to complete it! 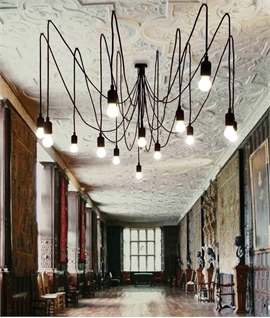 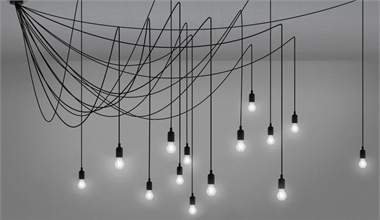 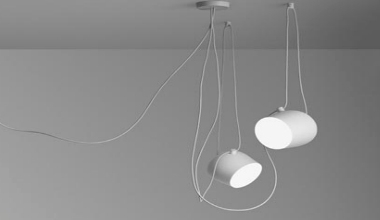 This fitting can be used with lamps hanging next to each other or suspended spread out with the supplied hooks. 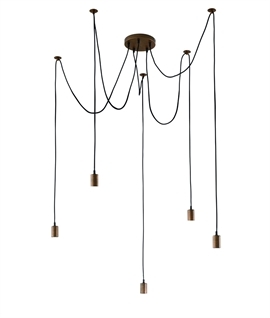 Great as a feature light or incredibly useful when a spread of light is required without the hassle of installing individual fittings. 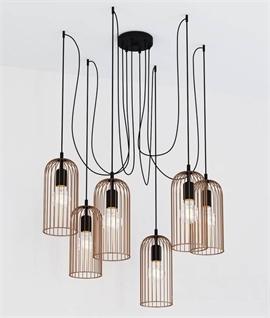 Supplied with dark copper ceiling rose lamp holders and black braided flex. 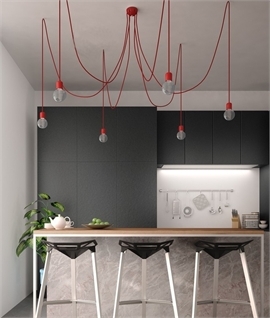 With each flex being fully adjustable in length (max 1.5 metres) and your choice of where to fit the suspension hooks. 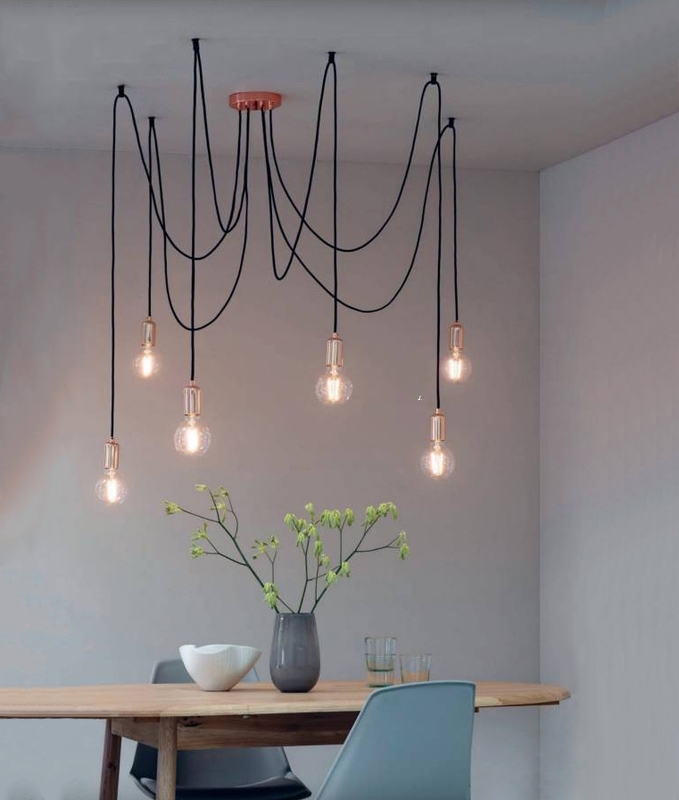 please could you clarify the colour of the ceiling rose and bulb holders? 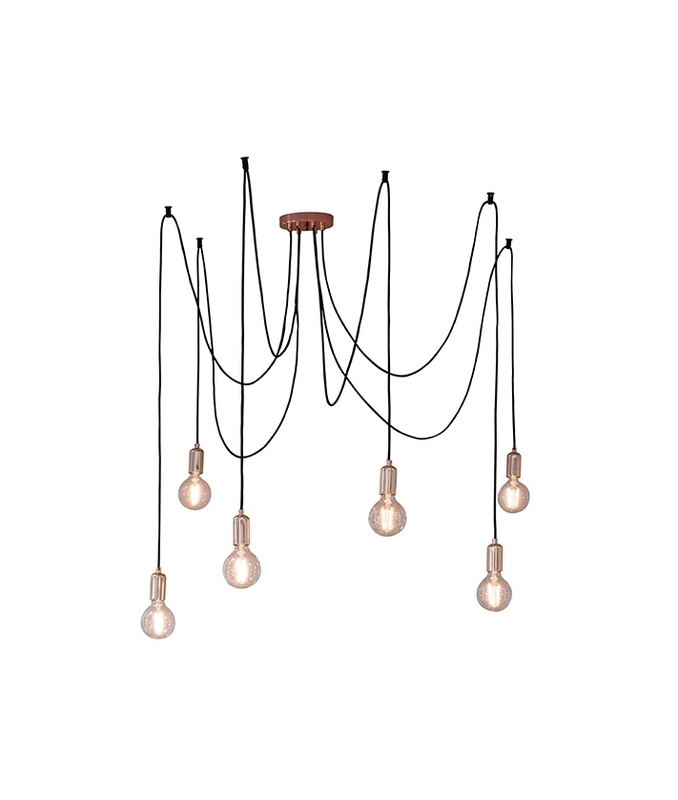 The ceiling rose is a darker copper finish with the lamp holders being a much softer lighter copper finish.